Have you been tossing around the idea of buying a mobility scooter? If so, you’ve likely gone through the pros and cons of making such a purchase, but have you truly considered all of the pros? If you decide to purchase a mobility scooter you will likely have to ask the grandchildren to hop off more often than not, but the biggest thing it will do for you is provide you independence. Independence is a hot subject for the elderly, anyone with an illness, and those with a disability. No one wants to lose their independence and a mobility scooter can make sure you can still do everything you enjoyed doing in the past. Here are four reasons why you should consider buying a mobility scooter. Are you used to going to the store or to the doctor by yourself? Do you hate having to rely on a family member or friend to take you places? If so, buying a mobility scooter can help you keep your independence. A mobility scooter not only allows you to run your own errands, it also helps you navigate your home and property. You can clean your home, take out the trash, walk the dog and much more when you have a mobility scooter at your fingertips. Have you always wanted to travel? You don’t have to change your goals when you buy a mobility scooter. In fact, you can increase your travel goals with the purchase of a scooter. Why? You will no longer be confined to your home. You can load the scooter into your car or Recreational Vehicle (RV) and hit the road. Travel all over this beautiful country to visit national parks, landmarks, museums and other destinations that pique your interest. Are you upset that your loved ones are always taking care of you? Do you want them to enjoy their lives or simply enjoy spending time with you instead of caring for you? 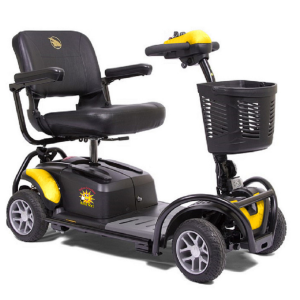 If so, a mobility scooter can ease the burden on your caregivers. No longer will family members have to push you around in a wheelchair, making it less taxing on them physically. You will be able to travel at your own leisure and they will be able to do the same. It will take a bit of an investment when you first purchase a mobility scooter, but the unit will wind up paying for itself in the end. Taking public transportation every day because you cannot load your wheelchair in your car will become taxing not only on you physically, but also financially. You will be able to save a lot of money when you no longer have to pay fares for public transportation and can drive yourself. 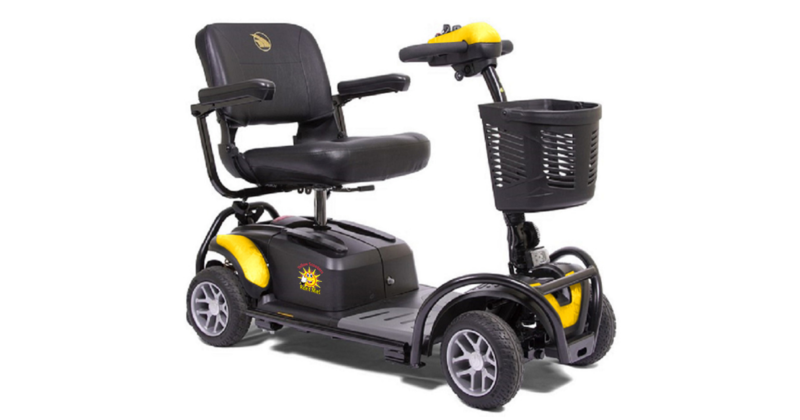 Are you ready to buy a mobility scooter in Florida? If so, it’s time to contact Yellow Scooters with all of your questions. Call us at 1-855-274-3363 to make an appointment with a salesperson or complete the contact form. We’re here to help you.